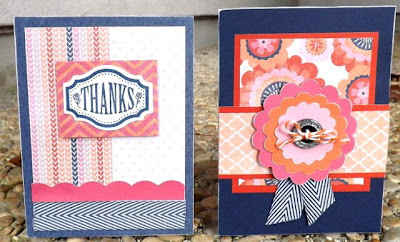 This card is a combo of Outdoor Denim, Cranberry, Hollyhock, Sunset and Blush and Claire papers, not a combo I would have put together but it really works! The flowers were cut on the Cricut with Art Philosophy! 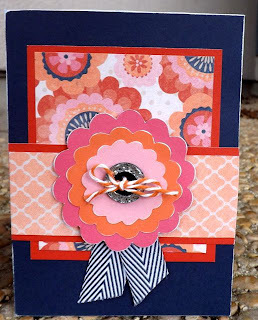 I used the Baker's Twine Harvest assortment ( Sunset), NEW Black assortment of Buttons (Z1821), and the New Outdoor Denim Chevron Ribbon (Z1808) to dress it up! The sentiment is from Casual Expressions D1525 and is cut on the Cricut using Artiste. 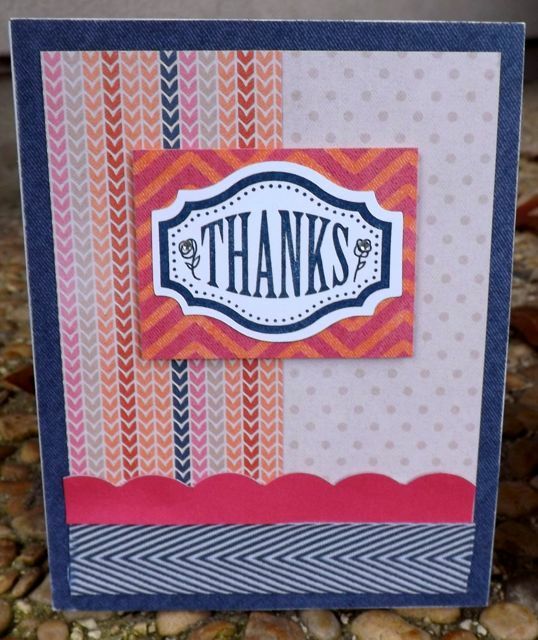 I made the scalloped border using the corner punch with the sides removed! 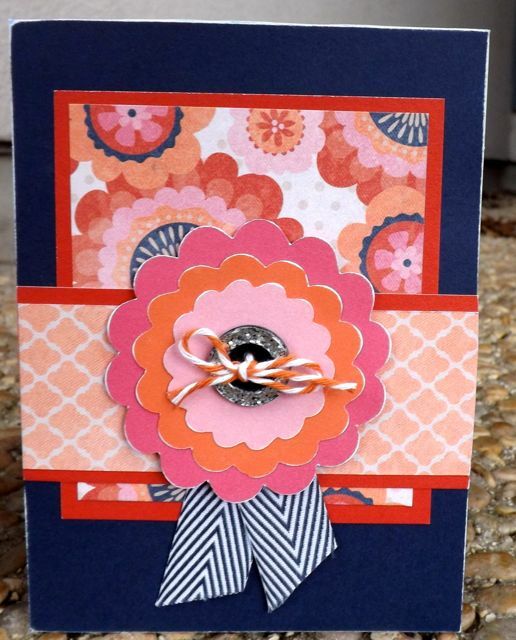 The New Outdoor Denim Chevron Ribbon finishes off the look, don't you love the optical illusion!